Make full use of your existing Canon EF and EF-S-mount lenses on your Micro Four Thirds mirrorless camera with this Pro Fusion Smart AF Adapter from Fotodiox. Featuring FUSION technology, this intelligent adapter features electronic contacts that fully maintain autofocus, auto-exposure, and image stabilization capabilities as well as transfer Exif data and enable aperture adjustment from the camera body. Alternatively, an iris toggle switch is integrated, and can be used to adjust aperture settings via the adapter. This adapter further adds a Micro-USB port to the design, which is used to update the adapter's firmware for future lens support and bug fixes. Complementing the electronic sophistication, this adapter is also characterized by its durable chrome-plated brass construction and removable 1/4"-20 tripod mount to help support heavier lenses. Box Dimensions (LxWxH) 4.6 x 3.7 x 2.3"
HI, I'm comparing 2 items, they both look the same but one is $150 and one is $300, I have canon lenses, EF and EF-S, I want to put them on my GH5 and get full functionality in the camera, both seem to do this, what is the difference and why would I buy the $300 one over the $150 one? 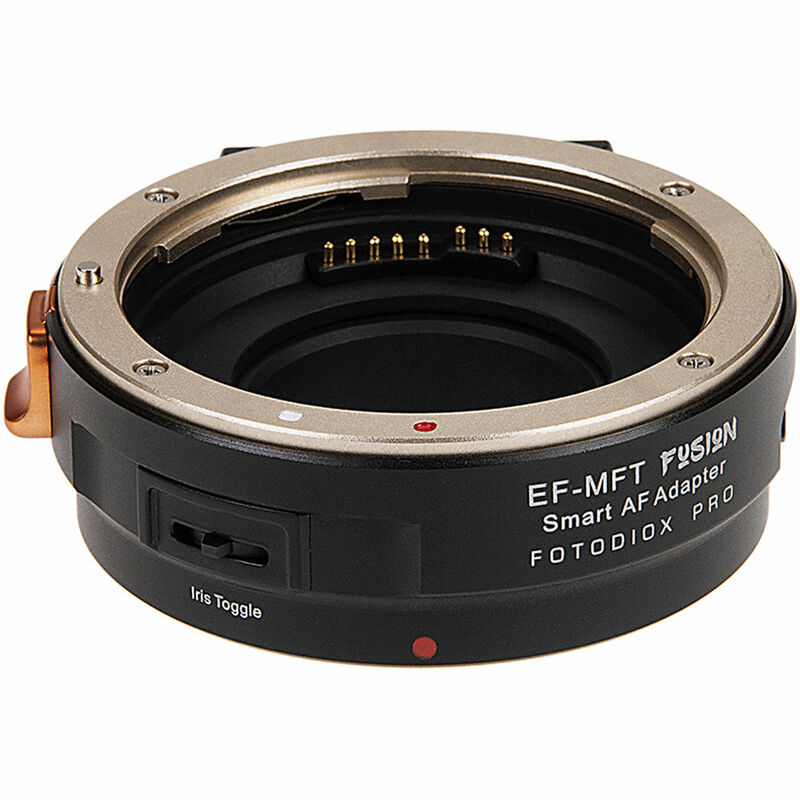 Thanks https://www.bhphotovideo.com/c/product/1445264-REG/fotodiox_eos_mft_fusion_pro_fusion_adapter_smart.html OR https://www.bhphotovideo.com/c/product/1445265-REG/fotodiox_eos_mft_fusion_redux_pro_fusion_redux_adapter.html/?ap=y&amp;gclid=CjwKCAiAs8XiBRAGEiwAFyQ-eh-mdlJD9hf1a7SIa2udD6f_BIePNMqTWMLm6xK1iSVfWkgzmXywKhoClmYQAvD_BwE&amp;lsft=BI%3A514&amp;smp=Y&amp;fbclid=IwAR1APgZn44OvPcN6_9soQ40iE4rcODY02gCF7frqiBorri2aXlJ0WBHHaqQ Thanks! Can this adapter work with BMPCC 4K and support AF, AE and IS functions?